Catalyst Live 2018 was brilliant, perhaps even the best one yet, which is why we’re delighted to bring you a selection of some of the incredible talks and performances that made the two days in Birmingham and Bristol so memorable. Check them out right here! Ever used your imagination when reflecting on Scripture? Yes? No? Either way, we think you should hear what the outstanding biblical scholar, speaker and author Paula Gooder has to say on the subject. Just when we thought they couldn’t get any better, Harry and Chris did. This outrageously talented, humble, kind and poetic comedy-music duo treated the Catalyst Live audience to stunning performances on both days. Their final performance though, at the end of a wonderful day in Bristol, is the one we’d like to show you for the time being. Stanley Hauerwas is one of the greatest theologians of our time. And we got to sit down with him for an extended interview earlier this year. How amazing is that? We played the interview with Professor Hauerwas first at Catalyst Live. Now it’s time to make it available to everyone. Amy Orr-Ewing knows a lot about the life and work of Dorothy L Sayers, the famed writer of Lord Peter Wimsey detective novels. After all, Sayers was the subject of her PhD. But in her Catalyst Live talk, Dr Orr-Ewing gave much more than a biographical account of Sayers’ life. She considered how Sayers was able to communicate her Christian faith to her generation, and though this was many decades ago, remains relevant today. Loving the intelligent comment on faith and culture from Catalyst Live speakers? Then subscribe today to Mission Catalyst, the BMS World Mission magazine that is essential reading for thinking Christians. Mission Catalyst is free and produced three times a year. If you don’t receive it, now is the perfect time to subscribe. “How do you live in this unpredictable time when all the rules have changed?” This was the question put to the audience by Gary V Nelson, President and Vice Chancellor of Tyndale University College and Seminary in Canada. It’s one that got us thinking. A lot. One person came from Sydney. Another from Brussels. Others from around the UK. We were thrilled to speak to so many of you in Birmingham and Bristol. Have a listen to what a selection of attendees had to say about Catalyst Live. Keen for more Catalyst Live content? We thought so. Don’t panic, we’ll be putting all the talks and performances on the Catalyst Live website by 22 November so stay tuned for news on when they go live. That means you’ll get to hear from other brilliant speakers such as Rosie Harper, David Bebbington, Helen Coffey, Ruth Gledhill, Adrian Snell, Alistair Brown, Mark Woods, Ron Choong, Baroness Elizabeth Berridge and Rula Khoury Mansour. Until then, please share this article with your church. Catalyst Live was a success because of your support and your hunger for thought-provoking talks, vibrant conversation and great fellowship. We thank you for making all of that happen and we can’t wait for Catalyst Live 2020. Today, they’ll face everything from apathy and suspicion to persecution. Yet nothing will stop these BMS World Mission workers sharing Jesus’ love in hostile, remote and hard-to-reach communities. The challenge: serving in a country where evangelical Christians are almost non-existent, the Muslim community is the largest in Europe, and secularism is a hallmark of national identity. The ministry: Facebook. YouTube. Email. And also in the church they planted. 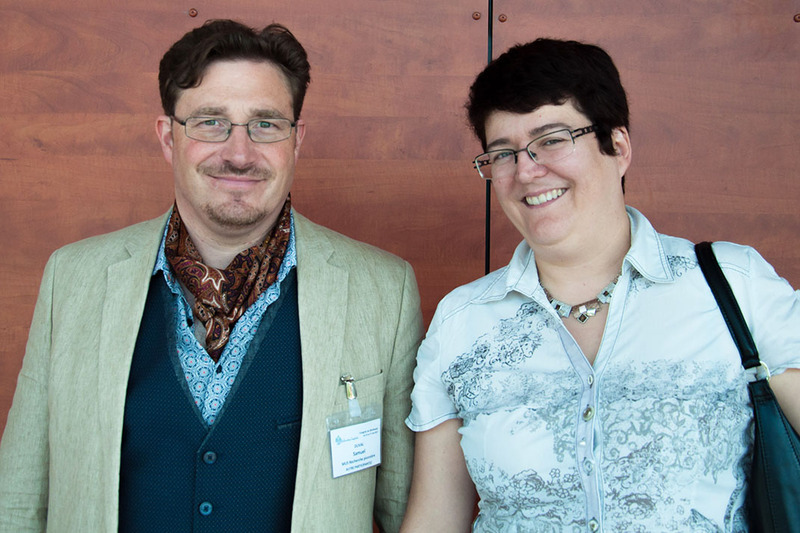 Pastor Samuel Duval and theologian Valérie Duval-Poujol embrace every way possible to tell people about their faith. People from across France are sending them questions about the Bible and Jesus, reaching out for answers. BMS workers Samuel and Valérie are listening, engaging, and telling them about Jesus. Church planters Samuel Duval and Valérie Duval-Poujol embrace traditional and modern means to communicate their faith. The challenge: alcoholism and drug taking are destroying lives in the Thai Buddhist village where youth worker Ajarn Tah works. BMS workers Helen and Wit Boondeekhun brought him in to try and stop young people from drifting into addiction. The ministry: starting a football team takes hard work, patience and, critically, players. Tah managed to form his team of ten to 13-year-olds in just one afternoon. Clearly the recruits knew what to do as they not only won their first match, they did so 6-1! And more than just the beautiful game, young people are hearing about a meaningful life. Before each match, the entire team goes to a local church to sing Christian songs, play games and hear a short message. 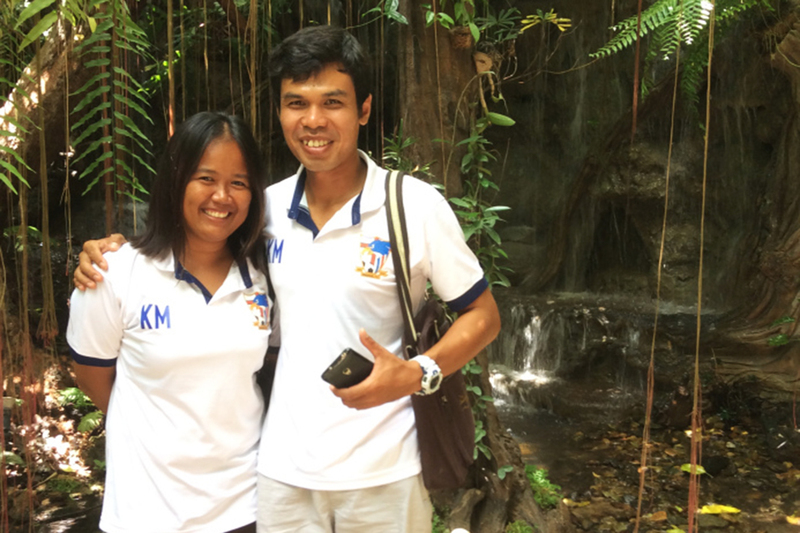 Football ministry is helping Ajarn Tah, pictured here with his wife Ajarn Baeng, connect with young people in a village in northern Thailand. Tah’s work in the village of Wang Daeng also sees him teaching guitar to pupils at the village school, using Christian songs to share his passion for Jesus. The challenge: helping people turn their lives around when they’ve dropped out of school and have no qualifications, money or hope. The ministry: teaching skills like tailoring, carpentry, mechanics and hairdressing at a BMS-supported training centre. BMS worker Isaiah Thembo is supporting projects in western Uganda that help bring people out of poverty. And Isaiah has not only helped to turn lives around at the skills centre. He’s also helped to install solar powered lighting in churches in western Uganda’s Rwenzori Mountains, where communities have no electricity. People use the churches to read and study because they have light, instead of burning kerosene lanterns which produce a toxic smoke. The challenge: reaching rural communities accessible only by boat or through dense rainforest where Christians are very isolated. There’s also the very real threat of being bitten by mosquitoes, tarantulas and snakes. 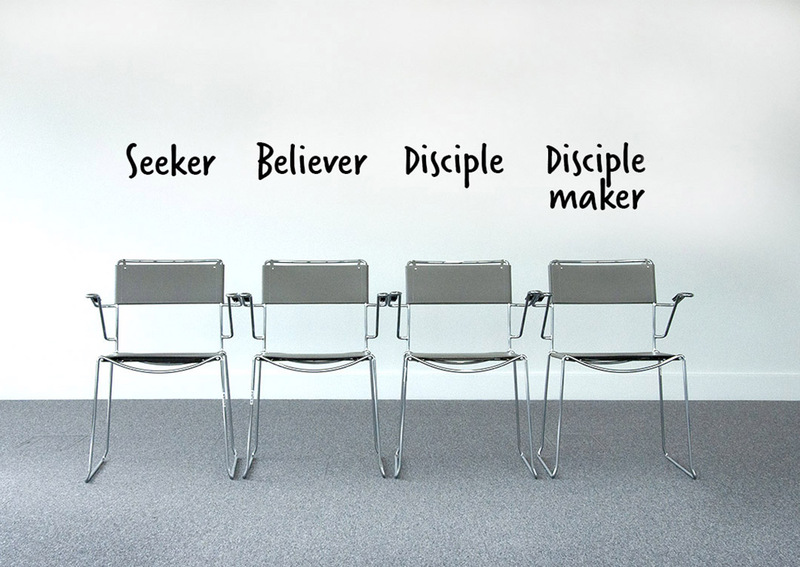 The ministry: providing theological and leadership training to rural pastors who have never received it. Pastor Luis visits river and jungle pastors, inviting them to stay at the BMS-supported Nauta Integral Mission Training Centre where they get biblical training and lessons in how to care for their land. 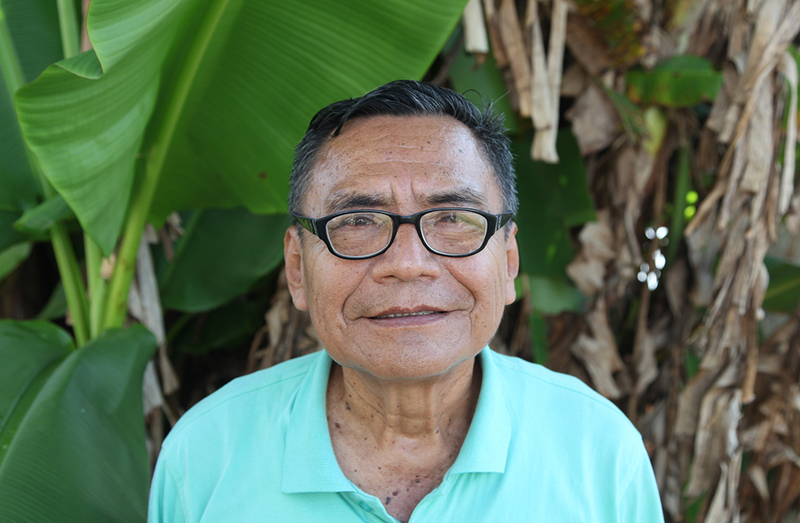 Pastor Luis is strengthening pastors in rural Peruvian communities. Combining a relentless passion for the gospel with a brilliant smile and a heart for the poor, Pastor Luis is inspiring Christians to be stronger, better leaders in their communities. The challenge: working in communities where Christians are persecuted, threatened, imprisoned, and killed. Hindu and Muslim fundamentalist groups attack Christians, angry that people are believing the gospel and accepting Jesus into in their lives. The ministry: Gillian helps lead a huge church planting movement in villages in West Bengal by overseeing the critical and complex administrative work that’s needed. With her support, tens of thousands of people have heard about Jesus for the first time, giving their hearts to him and opening their homes to become places of worship and transformation. 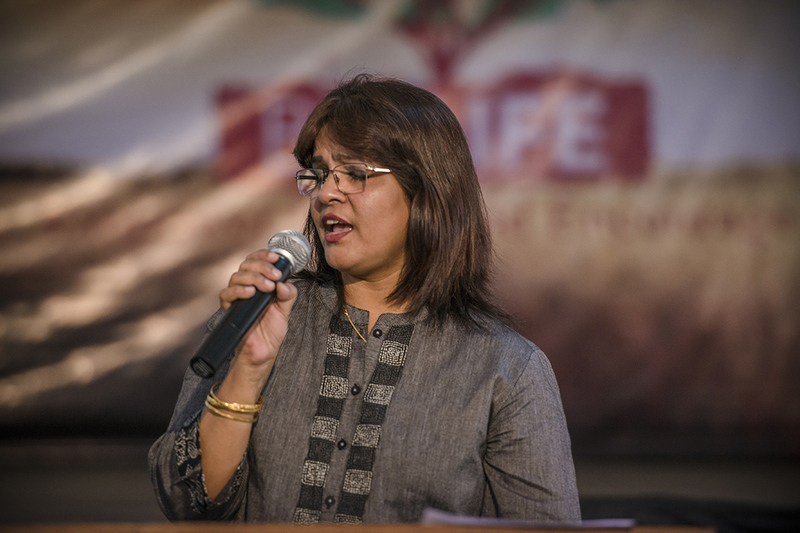 Gillian Francis is playing a key role in helping house churches to flourish in West Bengal, India. We’re so proud to call Samuel, Valérie, Tah, Pastor Luis, Gillian, and Isaiah our colleagues. All this work can only happen with your help. If you commit to giving regularly to BMS, you can help us to plan ahead and meet the needs, both spiritual and physical, of people who would otherwise have little hope. Become a 24:7 Partner today and commit, at whatever level you can, to stand with us every day in mission. You will also be standing with Samuel, Valérie, Tah, Luis, Gillian and Isaiah. When one simple action raises money, helps people’s lungs, gives children a better chance at an education and introduces people to Jesus as Lord, it’s probably worth doing. Kayanji village used to be plunged into darkness when the sun went down, but now Kayanji Baptist Church is sharing the light. Solar power is transforming the life of the church and the entire village, which is nestled in western Uganda’s Rwenzori Mountains. Since solar panels were installed a few years ago through a BMS World Mission project, the church’s membership has more than doubled – from 30 to 80 people! We are seeing new members in the church because of this project. They are seeing that love is here. Kayanji Baptist opens its doors every evening for people to come and use the light to read and to study – the whole village is welcome. The pastor also uses the light to run a Bible study every morning, that more and more members of the community are attending. Solar power is also charging local people’s mobile phones, at a small cost. The money raised through phone-charging maintains the church and is used to help widows, orphans and other struggling people in the community. Only seven per cent of the whole of Kasese District, where Kayanji village is, has access to mains electricity. For the vast majority of the district, the only source of light comes from burning kerosene lanterns or candles. Until a few years ago, this is what everyone in Kayanji village was doing. But kerosene is expensive and dangerous. It produces a dim light and toxic smoke, which irritates the eyes and skin and is a major cause of both respiratory diseases and harmful CO2 emissions. In rural areas that are in darkness or reliant on this kind of light for nearly 12 hours a day, a safe source of light can completely change people’s quality of life. 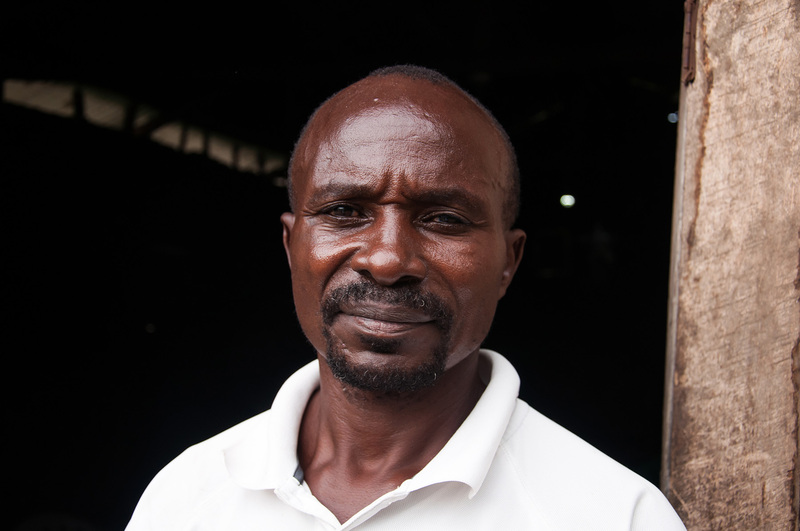 Isaiah Thembo is a BMS local worker in Kasese District. He helped to install the solar panels at Kayanji Baptist Church. 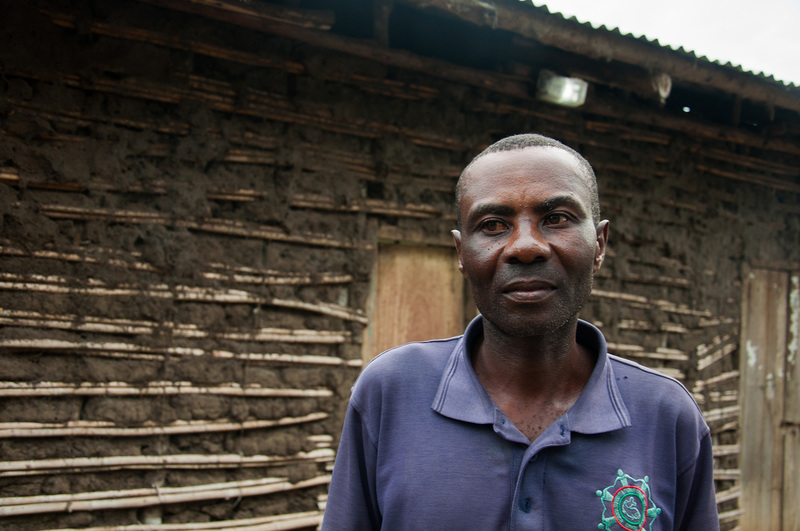 Kambala Limengo says that the solar-powered lights are bringing new people to Jesus. “This solar has a bright light, and it does not spoil eyes,” says Kahoja Murugire, who sends his children to the church to study safely in the evenings. 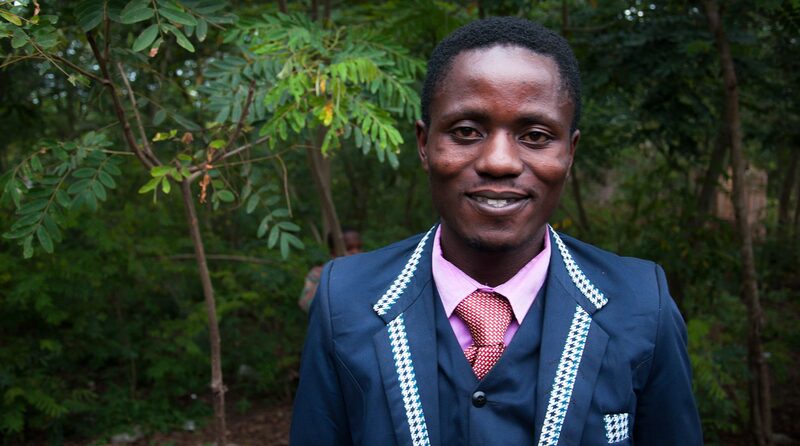 Church members like Kambala and Kahoja believe that the huge growth in the church is a direct result of the light. “We are seeing new members in the church because of this project,” says Kambala. “When it is dark, these newcomers come in. And then the pastor meets them for a Bible study and it changes their lives. Kayanji is one of eight rural villages that have had their churches and their evenings transformed thanks to this BMS solar project. The lights are helping children thrive at school, they are providing income for practical outreach into the community and, perhaps most exciting of all, they are providing a way to introduce people to the Light of the World. Healing, baptisms and people wanting to know more about Jesus – exciting things are happening in the ministry of BMS World Mission church planters Claire-Lise and David Judkins in France. After 18 months of living in Brive-la-Gaillarde (Brive), the Judkins are starting to see the fruit of the friendships they have formed in the town. They are seeing God move in extraordinary ways and believe the prayers of BMS supporters have played a vital part. There have been three baptisms in the last year and at least two more are being planned. Those who have been baptised are not only growing in their faith but also sharing it and attracting others to know more about Jesus. In this short video, Claire-Lise shares about the challenges of being a church planter in hyper-secular France and tells the story of one woman whose life has been transformed by the gospel. Max* became a Christian and was baptised in October 2016 after spending several months reading the Bible and discussing it with David. 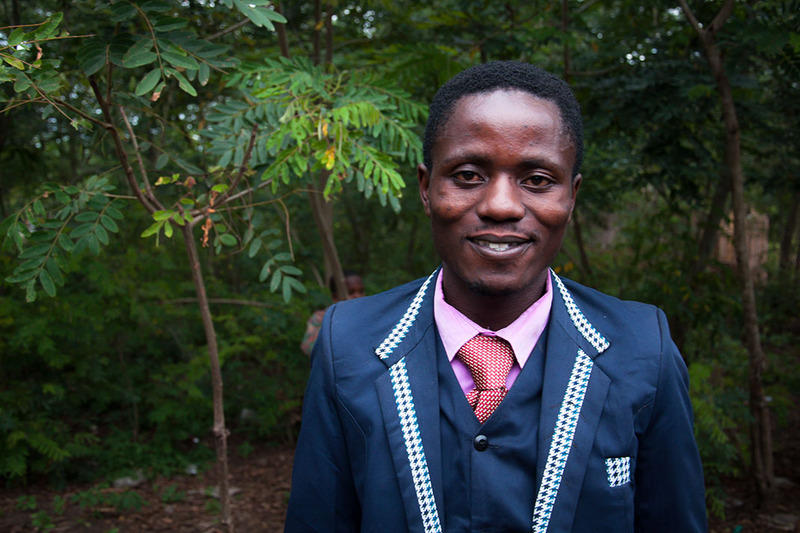 Since his baptism, he has been sharing his faith with a work colleague called George* who has been having a hard time. David met up with them both and prayed for George who was struggling with neck pain. The prayer helped ease the pain and has led George from being an atheist to wanting to be prayed for more and being open to hearing about God. Jasmin*, Max’s wife, is not a believer but goes with him to L’eglise autour le table (Church Around the Table), the meetings Claire-Lise and David lead each Sunday, which explore faith in a non-threatening way over a meal. “She calls it her church and is growing in her understanding of a God she doesn’t believe in,” David says. As the church plans to multiply to two groups, Jasmin has offered to host one group at their house. Another life changed has been Christophe*. Claire-Lise first met his wife, Eliane*, who was their post lady for a few months, and they had many conversations about faith. They lost touch but then saw each other again at a party and Claire-Lise met Christophe there too. From a Catholic background, Christophe got talking about faith at the party and soon both he and Eliane started to attend Church Around the Table. Christophe is now planning to be baptised and is also wanting to show his new faith in action. He has started the church’s first social action project, collecting toys for a local charity which works with children from deprived backgrounds. Becoming a Christian does not guarantee an easier life. Louise*, who was Claire-Lise and David’s first convert in Brive, has been struggling with cancer over the last few months. She has been on a rollercoaster ride of emotions but her faith has remained strong, and the experience has had an impact on her husband Victor*, too, who wasn’t a Christian. He has been actively praying for her, and has seen those prayers sometimes miraculously answered, releasing Louise from some of the pain she was feeling while undergoing radiotherapy. Victor is now exploring baptism. These are just some of the lives being changed by God through the work of Claire-Lise and David. The couple are continuing to learn how best to respond when God transforms lives. As well as planning new groups, David has formed a band with two of his church planting team. The band is called the Dizzy Delectables and they have been performing locally, singing songs about hope, some of which they have written as well as some cover versions. They hope to do more gigs and through them to make more connections with people open to exploring faith. 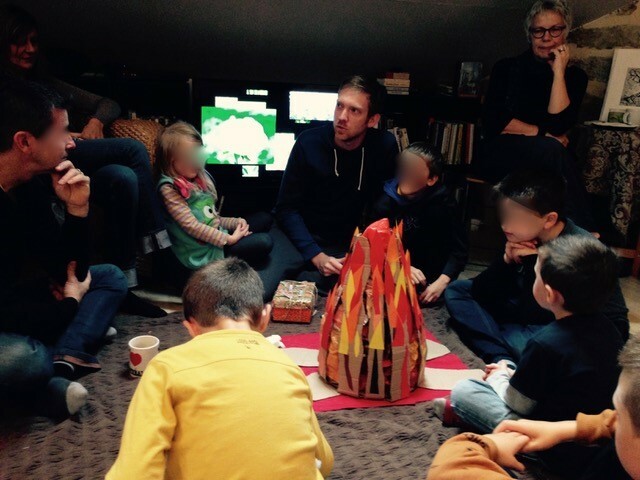 Claire-Lise and David are encouraged by what God has been doing, and so are we, but they know there is so much more he wants to do through them in Brive. 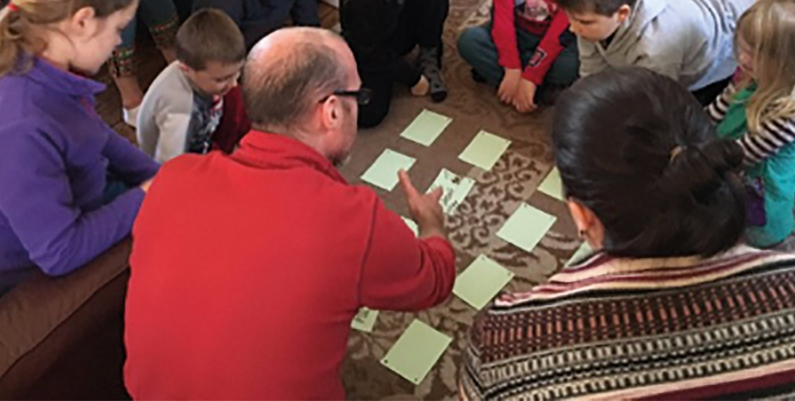 • Pray for Max, Christophe and Louise and all those at Church Around the Table as they grow in faith and share Jesus with others in their community. 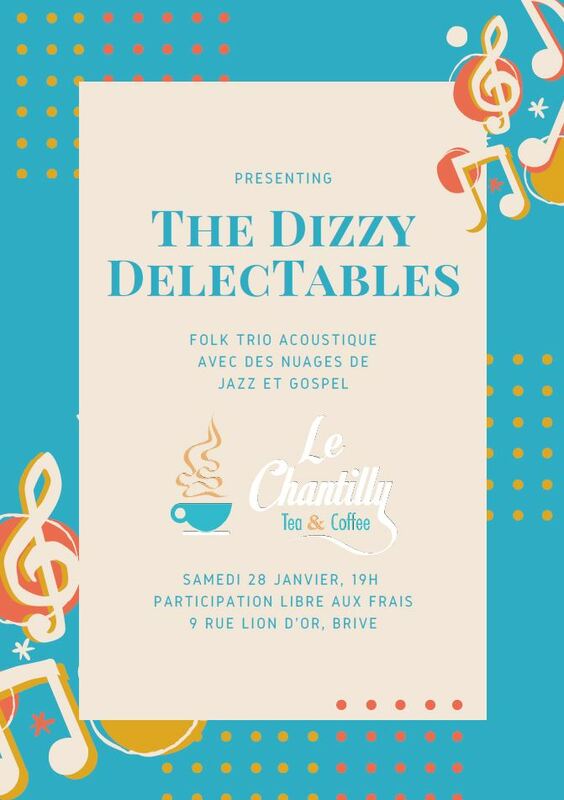 • Pray for the Dizzy Delectables folk trio as they engage with the people of Brive through music. Acid attacks, beatings and arrests can’t stop the love of God reaching Indians. A man blinded in a fight hears about Jesus and is now leading others to Christ. A woman becomes a Christian soon after seeing the Jesus film and is healed of Hepatitis B. The stories of lives transformed by the gospel in India are inspiring. And BMS World Mission is helping these stories happen. The sheer number of those becoming Christians is amazing too. In 2016, 80,000 non-believers were introduced to the gospel and 4,000 home groups were founded by BMS worker Ben Francis and his team. The church planters have learned that connecting with people, rather than throwing Bible knowledge at them, is key to changing hearts. “It’s a lot about building relationships,” says Ben. “People on the streets of India don’t care how much people know, they want to know how much you care.” Thanks to this approach, God’s love is spreading like wildfire throughout India. Seeta is part of the church planting team. In this short video, she explains how she started planting churches and what God is doing through her ministry, which is supported by BMS. What makes the impact of BMS church planting in India especially impressive is the backdrop of persecution that challenges it. Attacks on Christians in the country are on the rise. A report published by the Evangelical Fellowship of India stated that between January and June 2016 there were 134 incidents of Christians being targeted across the country: from burning churches to assaults against believers. A leader of the Hindu extremist organisation Dharm Jagran Samiti in Utter Pradesh said in 2014: “Our target is to make India a Hindu Rashtra [realm/country] by 2021. The Muslims and Christians don’t have any right to stay here” (Daily Mail). Unlike in the Middle East, where many Christians are leaving their region to escape persecution, for Christians in India it is often impossible to go elsewhere. One of the most shocking cases Ben has seen is a woman who had acid thrown in her face by extremists in her village for becoming a Christian. Ben and his team are supporting her and are trying to arrange some plastic surgery for her. Despite the attack, she is staying in her village. 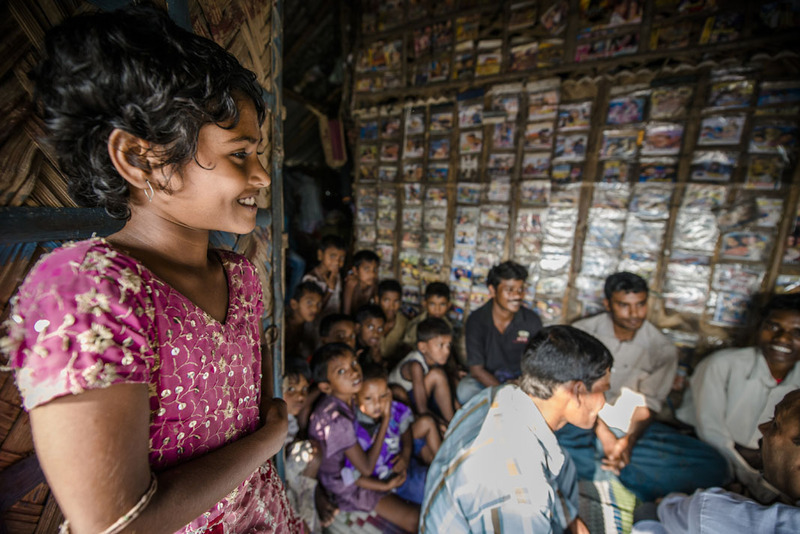 Despite increasing persecution of Christians, many seek to hear the gospel in India. But there are signs that the peaceful stand Christians are making for their faith is beginning to have an impact. “A lot of people who were persecuting Christians are realising that we are not resisting. No matter what they are doing, we are reacting with love,” says Ben. Contrary to extremists’ plans, Ben and his team are finding that persecution can often lead to a greater response to the gospel. When church planters from Ben’s team were briefly arrested in a village for showing the Jesus film, they returned 48 hours after their release to show the film again. Many more people came to see it than when they showed it the first time. How, then, can we pray then for these incredibly brave men and women who, supported by BMS, are growing the Church in India and transforming lives, risking their own lives to save others? Pray for open hearts and open doors in India as BMS continues to share Jesus with people in the country.